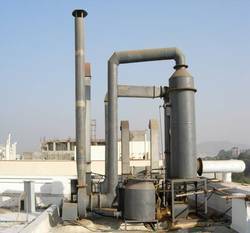 Manufacturer & Exporter of Plastic Fabricator. Our product range also comprises of Fume Hoods, Industrial Filters and Plastic Products. These products have most demand in market. These products are made from high quality raw material. 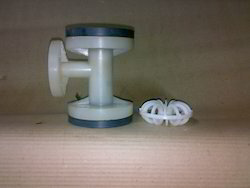 P. P valves, single & double decker strainer buttons, pipe works, PVC dionise columns polypropylene pall ring for tower packing and polypropylene level gauge indicators. 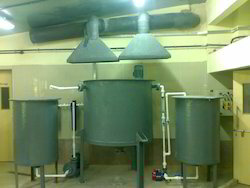 Polypropylene PVC and FRP hoods and ducting in various sizes with damper 90 Deg & 45 Deg long radius bend Tee & reducers and moulded flanges fitted with polypropylene nuts and blots and flexible PVC gaskets for Laboratory fume-cupboard, reaction vessels, plating, anodizing , galvanizing, pickling plants and scrubbers etc. One piece molded specially designed for industrial use with good mechanical strength and long lasting for powder and cake transfer from bags etc. For industrial, Automobile, Textile, Electronic and Rayon industries etc. 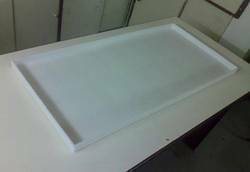 Poly trays made of engineering plastic materials for dryer with improved mechanical strength temperature resistance upto 140 deg. C and working with load at 110 deg. 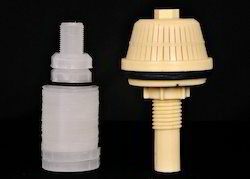 C. Injection moulded one piece highly resistance to corrosion.